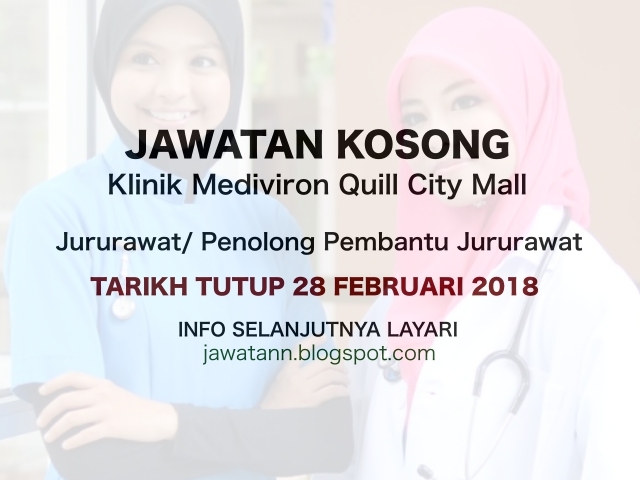 Pernah bekerja di klinik atau berpengalan. 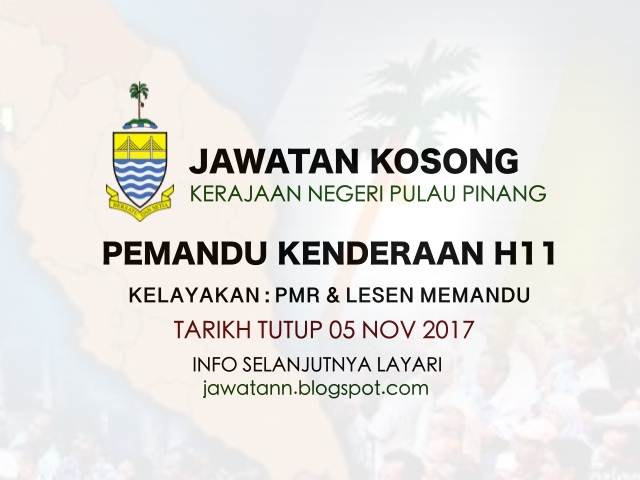 Pemohon yang berminat sila emailkan permohonan anda ke email dibawah. Candidate must possess at least Diploma/Advanced/Higher/Graduate Diploma in Business Studies/Administration/Management, Marketing or equivalent. Candidate must possess at least Diploma/Advanced/Higher/Graduate Diploma in Islamic Finance / Fiqh al-Mua'malat/Usul al-Fiqh or equivalent. Preferably Junior Executive specialized in Islamic Finance / Islamic Business or equivalent. 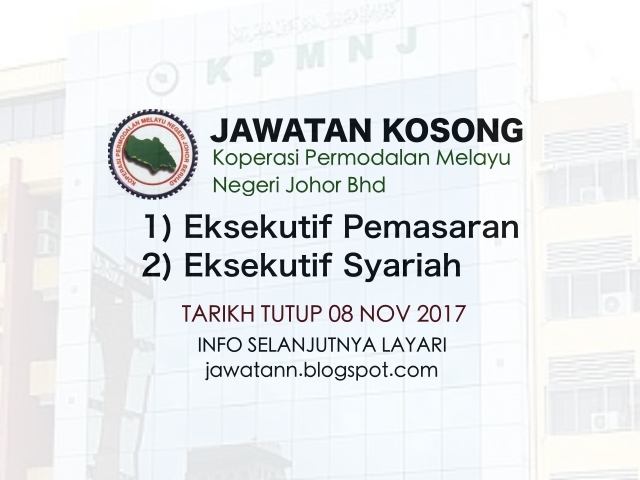 Pemohon hendaklah memohon jawatan berikut pada laman sesawang jobsmalaysia. 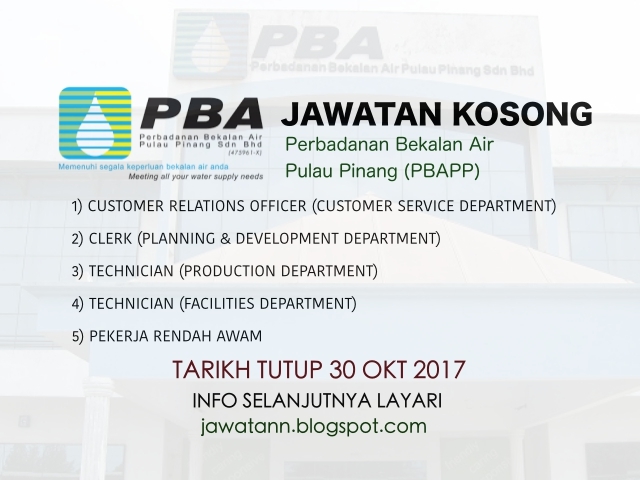 Pastikan anda telah mendaftar terlebih dahulu di jobsmalaysia. 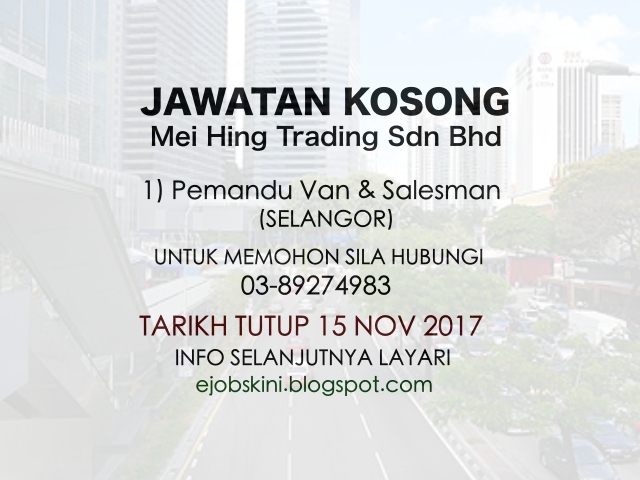 Sila ke link http://www.jobsmalaysia.gov.my/ dan cari iklan Kraftangan Malaysia dan klik pada link Mohon. 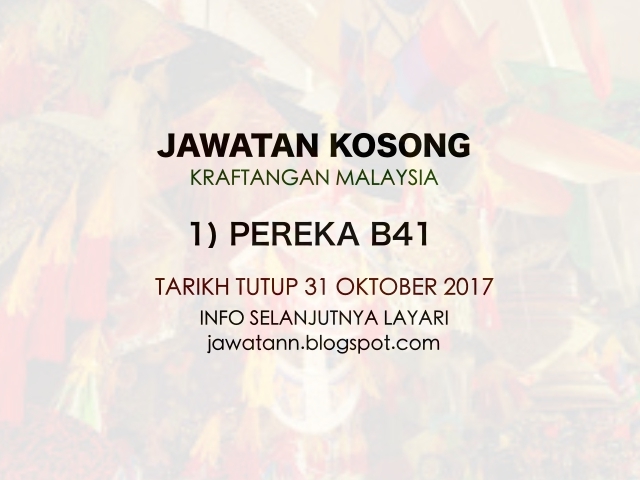 Kemudian klik pada nama jawatan Pereka B41 dan selanjutnya scroll ke bawah dan klik pada tombol Mohon. Photograph and videograph on-going activities and events on/off site for social media or presentation use. Plan, create, execute content on social media channel and digital media campaigns.Prepare visual presentations by designing art and copy layouts. Conceptualise, develop and copywrite new design, graphics and layouts for advertising & promotional use. Develop engaging and creative content (original text, images, video) of daily/weekly scheduled posts that buildsmeaningful connections and encourages followers to take action. Responsible for all social media copywriting, generate, design and publish daily/weekly content in the form of text, photo, video, Facebook, Youtube, website, online ad etc. Drive the creation of social media strategy related to Public Relations, internal and external events. Manage daily operations of social media channels. Candidate must possess at least a Professional Certificate, Diploma, Advance Diploma, Bachelor’s Degree, Post Graduate Diploma, Professional Degree in Advertising/Media, Design/Creative Multimedia, Mass Communications or equivalent. Required language (s): English, Bahasa Malaysia. Required skills (s): Social media or digital savvy, Creative writing, Graphic design. 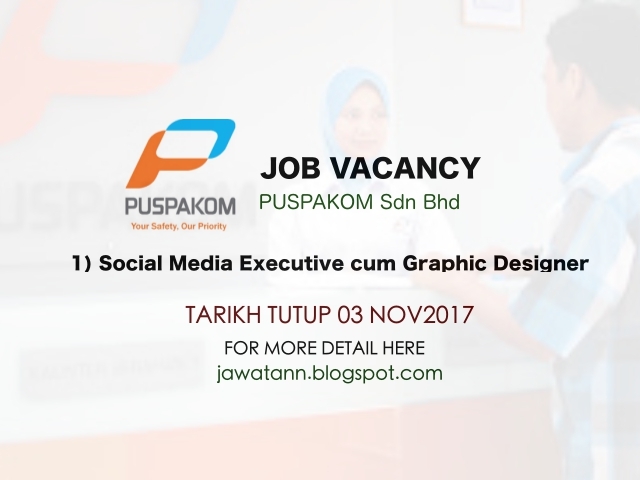 Good computer graphics skills (Adobe Photoshop, Illustrator or equivalent), good photography and videography skills. At least 2 year(s) of hands-on execution of social media strategies across multiple channels or extensive experience in various social platforms, including using social media management platforms & executing social media ad campaigns. Deep understanding of brand engagement, social media tracking, monitoring and reporting. Demonstrated experience developing creative and successful content. Good copywriting, presentation and communications skills for online audiences. Ability to work independently across multiple projects. Creative, proactive, detail oriented, team player, independent &possess good written communication skills. Applicants must be willing to travel and overtime. Preferably Junior Executive specializing in Graphic Designing/Digital Media/Public Relations/Communications or equivalent. Assist technicians on their daily duties i.e. To record and dispatch letters, documents, files & etc from project section. Interested candidates are encouraged to APPLY ONLINE together with updated particulars – full personal particulars, qualifications and experience, stating present and expected salary, contact number together with a recent photograph on or before 30 October 2017. 2. Calon bagi lantikan hendaklah memiliki Kepujian (sekurang-kurangnya Gred C) dalam subjek peringkat Pentaksiran Tingkatan Tiga/Penilaian Menengah Rendah atau kelulusan yang diiktiraf setaraf dengannya oleh Kerajaan.